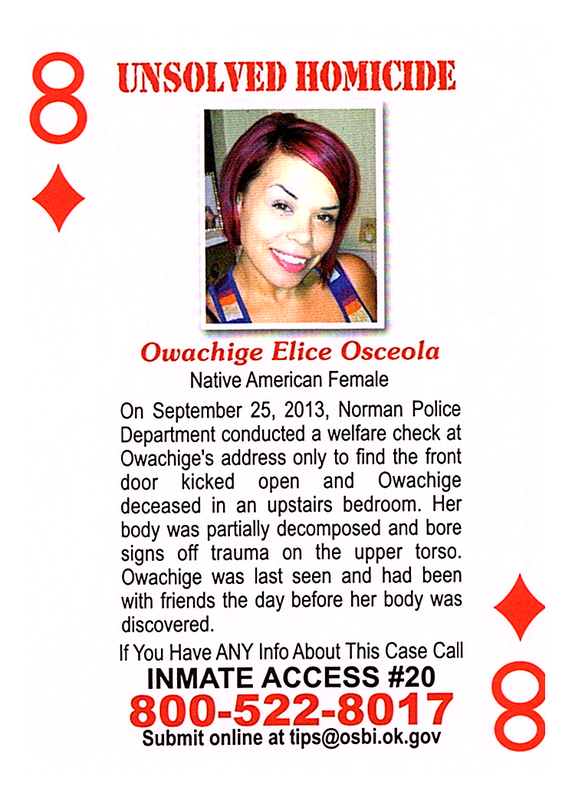 On September 25, 2013, Norman Police Department conducted a welfare check at Owachige's address only to find the front door kicked open and Owachige deceased in an upstairs bedroom. Her body was partially decomposed and bore signs off trauma on the upper torso. Owachige was last seen and had been with friends the day before her body was discovered.